Students attending St. Petersburg Science Festival student day (October 19, 2018), showing off their classroom banners using the International Code of Signals. Students working hard to decode the International Code of Signals scrambled word at the St. Petersburg Science Festival (October 19, 2018). 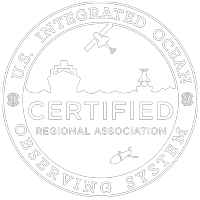 Over the two days, visitors learned about the International Code of Signals (ICS) and about the information U.S. IOOS Regional Associations are providing to support navigation and maritime operations. Students made classroom banners using the ICS flagging system and Saturday’s visitors made coded bracelets. They also learned about buoys and how to bring real-time ocean and coastal data to the classroom and household. The booth set up at St. Petersburg Science Festival for the public day (October 20, 2018). Since 2011, the St. Petersburg Science Festival has inspired children to get excited about Science, Technology, Engineering, and Mathematics. Last year, it is estimated the two-day event attracted over 20,000 visitors.